Trending at $247.65eBay determines this price through a machine learned model of the product's sale prices within the last 90 days. Trending at $336.24eBay determines this price through a machine learned model of the product's sale prices within the last 90 days. Trending at $312.99eBay determines this price through a machine learned model of the product's sale prices within the last 90 days. Apple iPhone 7 32GB Black (GSM Unlocked). It will not work with CDMA carriers like Verizon, Sprint, etc. Apple A10 Fusion chip with embedded M10 motion coprocessor. Condition: This phone is in like new condition minor sign of used phone is fully functional. Clean esn It work at&t network only Comes with: phone ONLY NO CHARGER INCLUDE. 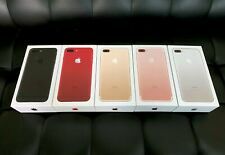 New ListingApple iPhone 7 - 32GB - Black (T-Mobile) A1778 (GSM) READ DESCRIPTION!!! Apple iPhone 7 - 32GB - Black (T-Mobile) A1778 (GSM) READ DESCRIPTION!!!. Condition is Used. Shipped with USPS Priority Mail. It is in working condition, however there is a problem with this phone, it has a BROKEN MIC. When you try to call someone, you will not hear anything and the speaker option will be grayed out. Also, it does not record anything in voice memos app. But then you try to play music or video, it works perfectly. In terms of cosmetic condition, it looks OK, but has some scratches on the body. Comes without box and accessories. 4.5 out of 5 stars - Apple iPhone 7 - 32GB - Black (T-Mobile) A1778 (GSM) READ DESCRIPTION!!! 139 product ratings139 product ratings - Apple iPhone 7 - 32GB - Black (T-Mobile) A1778 (GSM) READ DESCRIPTION!!! Trending at $167.23eBay determines this price through a machine learned model of the product's sale prices within the last 90 days.